Maria Ximena Sussman received her B.S. in Political Science and Criminal Justice in 2004 from East Carolina University. In 2007, she pursued an MBA with emphasis in Accounting at Winthrop University. After working as a litigation certified paralegal for two prominent law firms in Charlotte, she decided to fulfill one of her childhood dreams and joined the Charlotte-Mecklenburg Police Department as a police officer. After spending some years on patrol, she decided to fulfill another childhood dream, which was to one day become a lawyer. 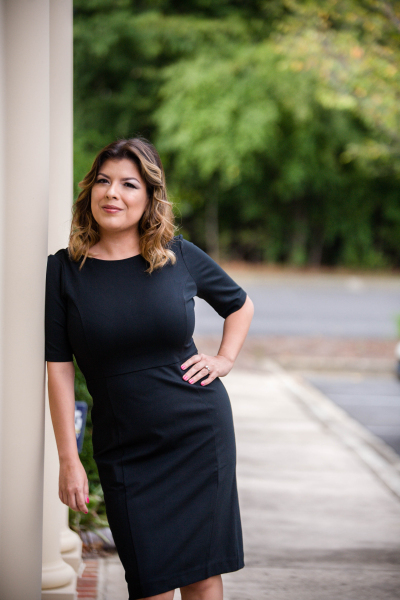 Maria began her studies at Charlotte School of Law and after graduating law school in 2014, she was admitted to the North Carolina Bar and the U.S. District Court for the Western District of North Carolina. Given her entrepreneurial spirit, she founded Sussman Law Firm, PLLC in 2015. Her affiliations include the North Carolina State Bar, North Carolina State Bar Association and Mecklenburg County Bar. She is a mentor as part of Mecklenburg County Bar’s Linking Lawyers Program. In addition, she is a North Carolina Notary Public and a proud member of the American Immigration Lawyers Association. A native of Guatemala, Maria is fluent in English and Spanish. She came to the United States as a child and she has called the Queen City her home ever since. Maria’s love for helping people is evident in her background in public service and is also felt by every client in need. Maria is married, has four children, and attends Carmel Baptist Church. She enjoys reading and spending time with family and friends. Jasmin Rivera was raised in Tampa, Florida by her Puerto Rican parents. Jasmin attended Gulf Coast College, where she received an Associates of Science in Medical Assisting. She worked as a medical assistant in the Tampa area for eight years. She moved to the Charlotte in 2015 to help her former youth pastors open a bilingual church. Jasmin is excited to begin her career in the legal field, where she can continue to reach and help people in a different way. Her easy going spirit and passion for people are evident day after day. Jasmin is also a North Carolina Notary Public. Jasmin is married to a firefighter and has three small children. She is active in her church and in community outreach. In her free time she loves spending time with her family, hiking and sight seeing the beautiful views of North Carolina. Alma Delia Martinez was born in Mexico and brought to the United States at the age of eight to further and better her education and way of life. Alma lived in a small town in Indiana from then until after high school graduation. 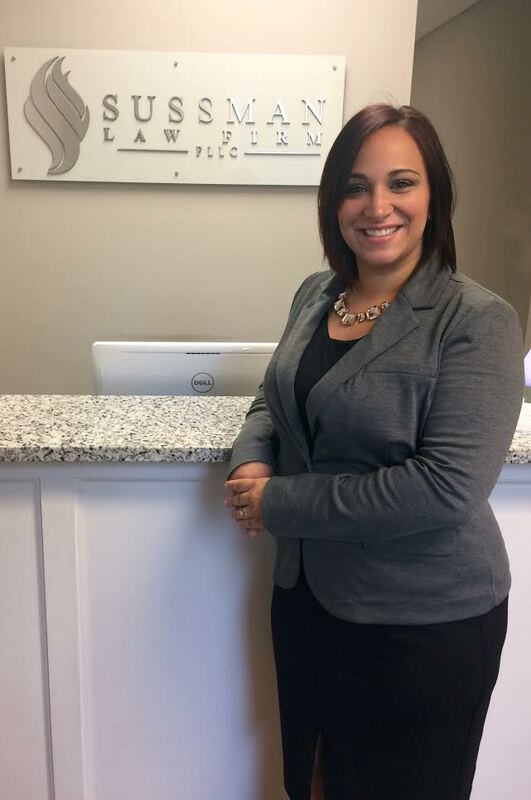 Alma recently moved to North Carolina, where she is very excited to begin her career in the legal field. 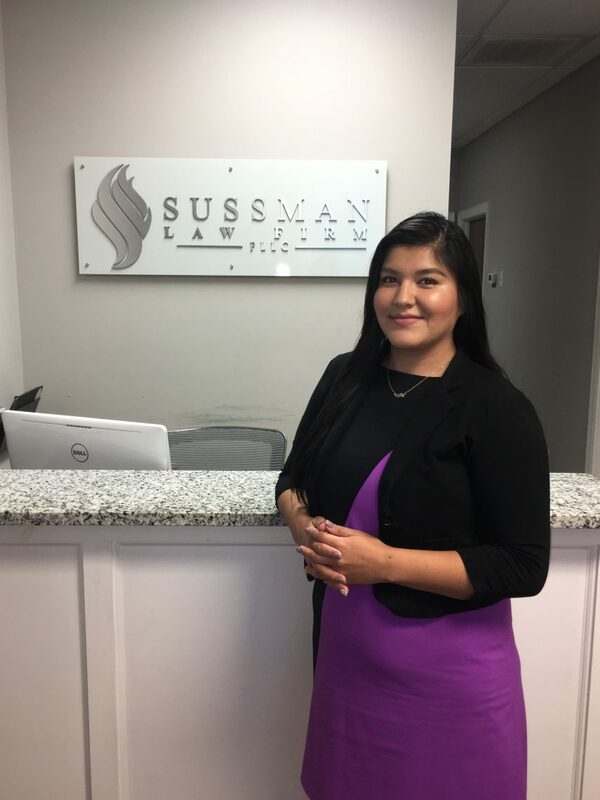 She aspires to one day be a great paralegal and by working at Sussman Law Firm, she knows that will bring her closer to achieving her dreams. Her daily goal is to reach and help people in different ways, as she has always had a passion for helping others. In fact, Alma recalls translating for people in her community from a very young age. Alma also tutored children and readily volunteered at her church. Alma loves to read, especially Nicholas Spark books. She is the proud mother of a little girl who has changed her life for the better.